Horticultural sand is an ingredient found in some recipes for seed starting mixes, commonly mixed with peat and perlite. However, it can be difficult to find in some regions, and when it is available, it's often expensive and sold in smaller quantities than what may be convenient for you. If you can't find horticultural sand at local stores, look for sharp sand, horticultural grit or grit. You can also substitute it with a coarse builders sand. For all intents and purposes, horticultural sand is the same thing as sharp sand and is similar to builders sand and horticultural grit. These aren't exactly the same things, and regional variations abound, but they all can be used for the same purpose: to improve drainage, particularly in clayey soil. In a seedling mix or potting mix, gritty sand does more than promote drainage, improving the soil's structure, providing tiny spaces for air and water to move around, and making it easier for roots to grow through the medium. Horticultural grit and sharp sand are made from crushed rock, such as limestone or granite. Different types of stone have different pH levels, so try to find out what type of stone is used in the grit or sand to help gauge how acidic or alkaline it is. Builders sand also comes from rock, of course, but it's unlikely the supplier will know its origin. Prices for these materials may depend on availability in your area, but builders sand is most likely to be the cheapest, followed by sharp sand. The most commonly available gritty or coarse sand is builders sand because it's a common building material. It's used in concrete mixes and some mortar mixes. Builders sand is not the same thing as play sand or sandbox sand, which are made of finer, rounder grains, similar to beach sand. Mixing fine sand into your starter mix will turn it into cement. It won't drain well, creating the reverse of the desired effect. Coarse builders sand is sold in the masonry department of big home centers and through masonry and landscaping materials suppliers. It has a much larger and coarser grain than play sand, making it perfect for drainage. Builders sand does contain silica, a lung irritant that is linked to cancer, so if you're working with a lot of sand — shoveling a big pile into your garden, for example — it's a good idea to wear a fine dust mask. If you can't find the appropriate sand, you can always try a different seed starting mix that doesn't require you to use horticultural sand. Just make sure the recipe includes something for drainage, such as perlite or vermiculite. 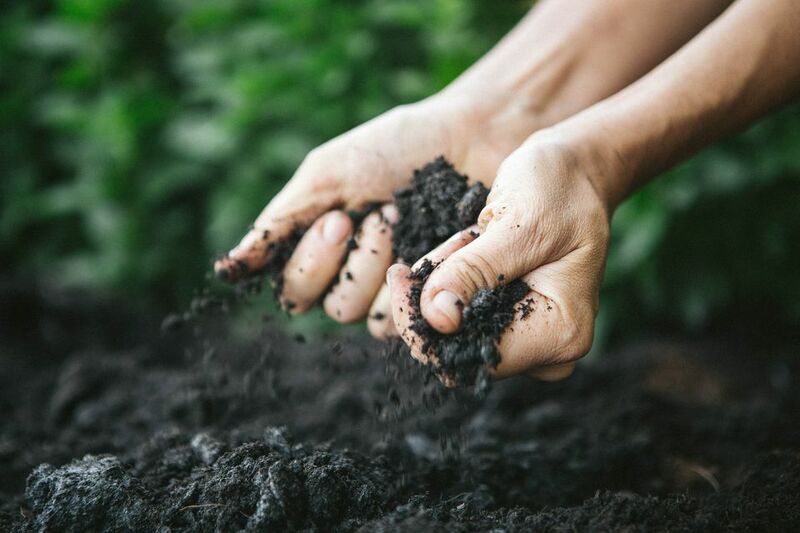 You could also simply swap the horticultural sand for finished compost or vermicompost, which offers the added benefit of introducing rich nutrients into what might be an otherwise inert mix. Many soil-less seed starting mixes don't use horticultural sand, and drainage isn't a problem.